Oh Sew Quaint | Handmade Sewing Gifts and Sewing Inspiration: The story of Oh Sew Quaint: turning a small idea into the full time job of my dreams. Late summer in 2016 I had decided I needed a hobby and blew the dust off the sewing machine my Mum had given to me 10 years ago as a Christmas present. My mum has been sewing for as long as I remember, and had always egged me on to try it too. But it wasn't until I started watching the Great British Sewing Bee that I felt inspired to give it a go. I loved the idea of having a handmade wardrobe, and I was determined to learn this new skill. 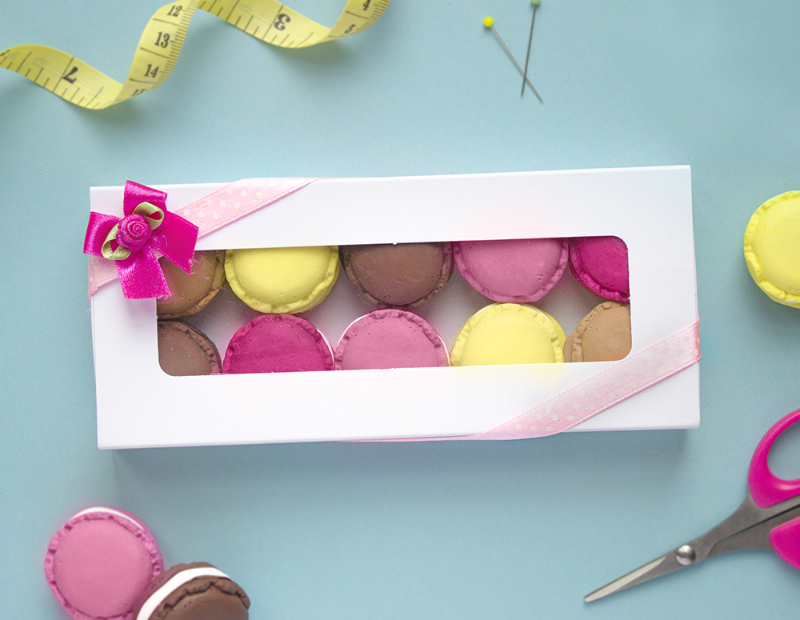 Pictured is the very first box of macaron pattern weights I made, I still use them today! As I started to sew, my collection of sewing paraphernalia grew and I found myself disappointed with the selection of sewing tools available. While of course they suited their purpose, everything just looked a bit drab. 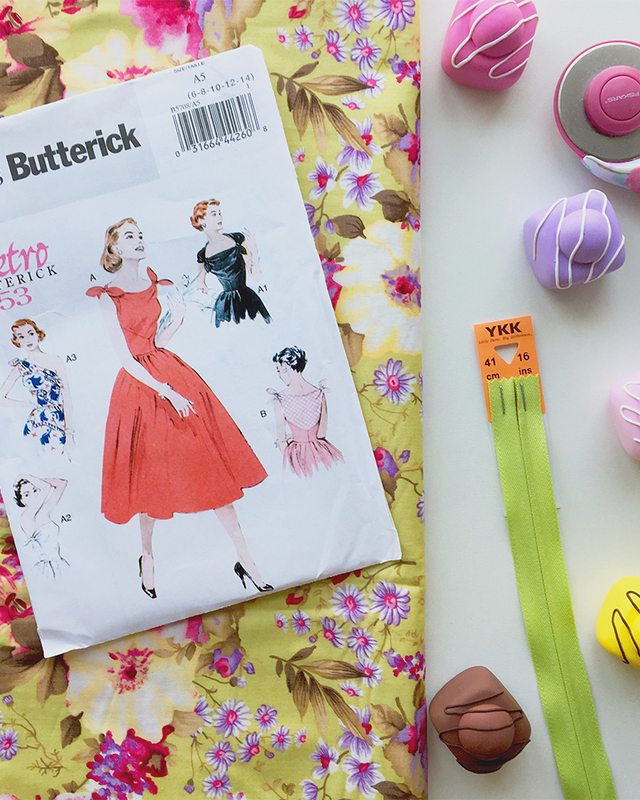 I remember thinking it was such a contrast against the personalities of creative people, and I wanted a sewing haven full pretty and colourful things. An idea popped into my head out of the blue as I was searching for some pattern weights. I had a picture of some colourful macaron pattern weights in my head, and I decided to make some. I loved them, and wondered if other people had felt the way I did about sewing equipment. Would they be interested in buying something like these pattern weights? 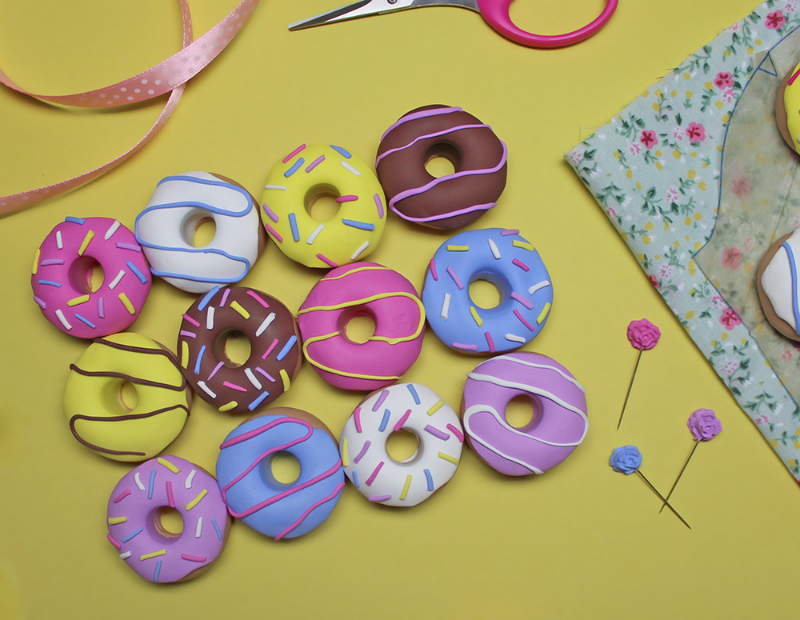 The first doughnut pattern weights that started it all, it's amazing how they've evolved in just 7 months! I flirted with the idea of creating an Etsy account to sell them, halfheartedly at first as I didn't think it would really take off. But the thought was stuck in my head and I decided to just go for it. A few months later Oh Sew Quaint opened it's virtual doors, and what happened next completely threw me. I had my first order 2 days after the shop opened, I still remember jumping around with joy when the notification popped up on my phone and the dread that followed. What if the customer hates them? Am I going to get a bad review? What if I can't do this? What have I got myself into? Well fortunately she did love her pattern weights, and as did the 150 customers that ordered in the month that followed. 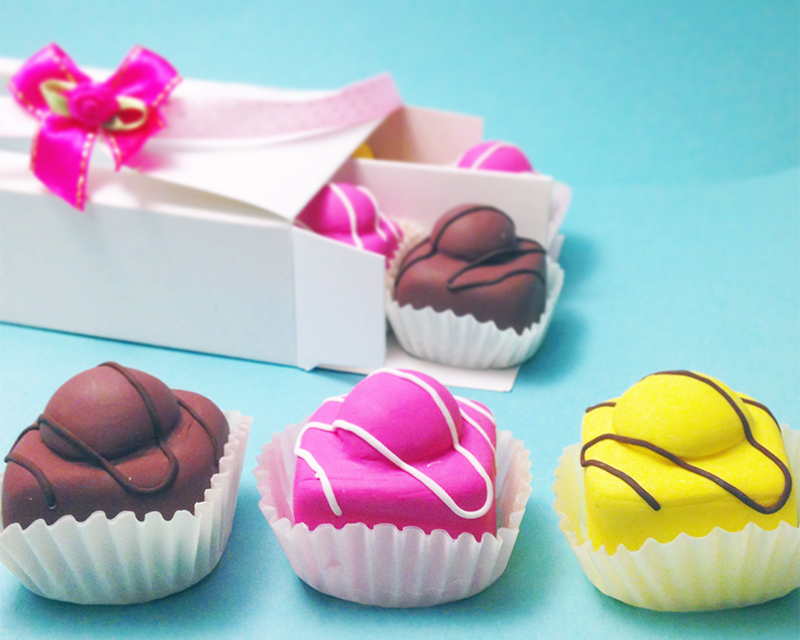 Fondant Fancies are the most recent addition to the pattern weights selection, and come in the original colours or cute pastels! Honestly, when I started my shop my goal was to have 20 sales by January, and I had actually had over 200 by 2017! It was a complete whirlwind and an experience I was totally unprepared for, but I loved every second of it. I soon outgrew my work space, which was a small desk and a few shelves at my boyfriends house. I turned my old room at my parents into my new home studio, a polymer clay haven! There are many perks to working at my parents place; my mum is always bringing me cups of tea and sandwiches, and is very supportive of the business, helping me with ideas and making products. 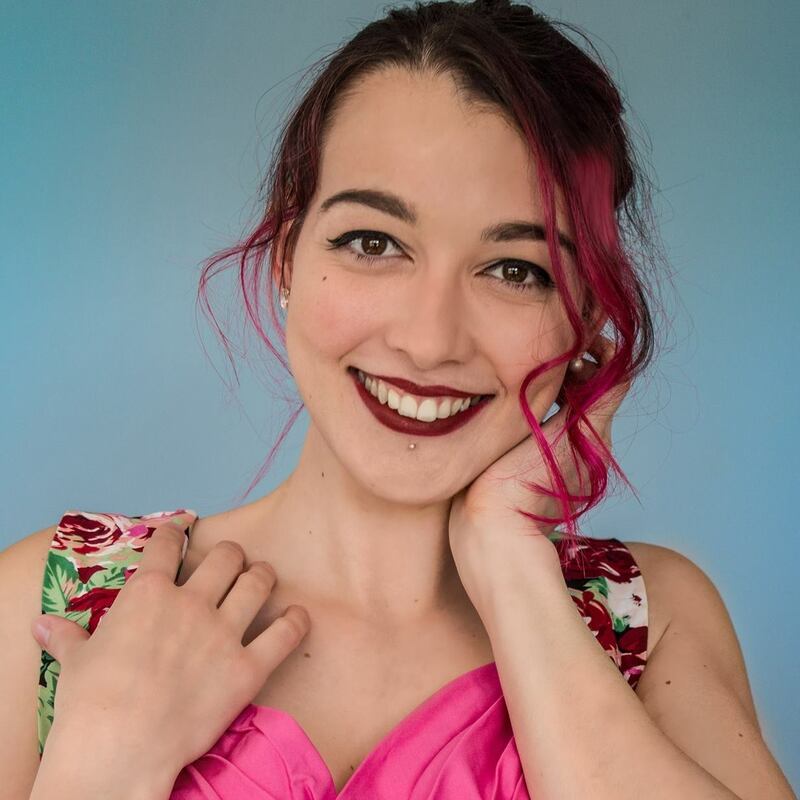 I was able to leave my job 6 weeks after opening my shop, it felt incredible being able to completely support myself through my own business, but I was terrified of what would happen after Christmas - I thought I'd be grovelling for my job back! Fortunately Oh Sew Quaint is still soaring 7 months later, and it's product range has expanded too, with plenty of new instalments planned for the future. 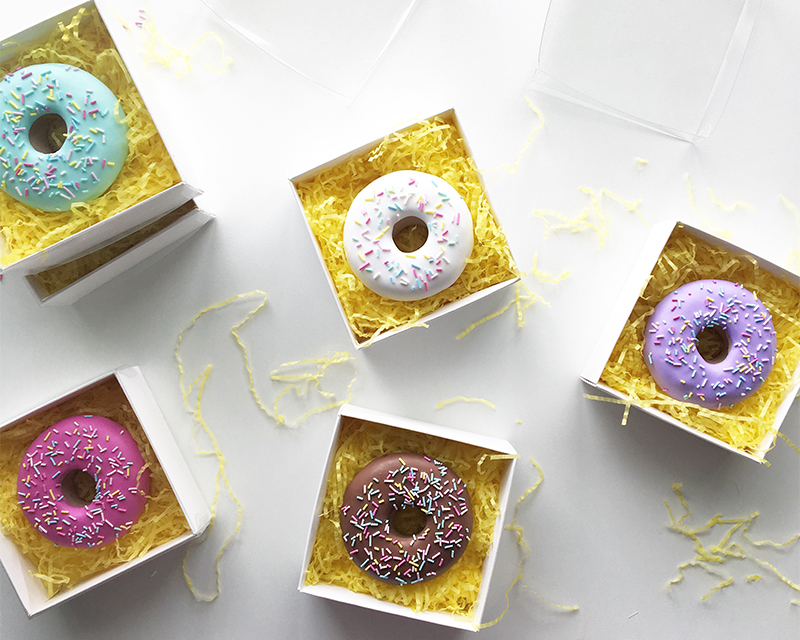 Over 4000 individual doughnuts have been handmade to date! Hopefully the number of them which have been eaten is 0! 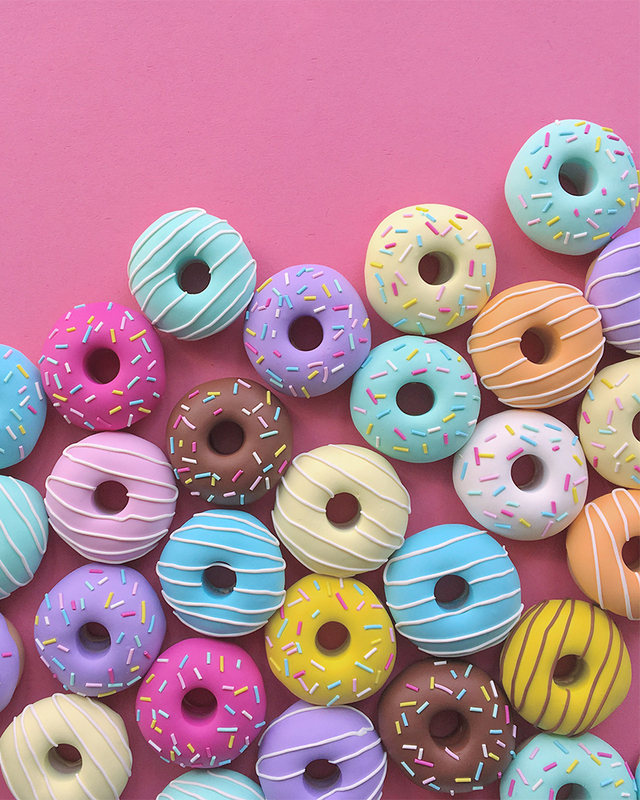 My best selling product, the Doughnut Pattern Weights, has been the key to my success no doubt. To date I've made over 350 boxes - that's 4,200 individuals doughnuts made with my own two hands! I'm always asked if I sick at the sight of them by now, and I won't lie to you - sometimes I am! But every time I pack a box and see them sat there ready to go, I do a little happy dance in my head. I'm forever grateful that 7 months later people are still buying from my little shop and keeping this girls dream of running an online business alive. To all of my customers old and new; everyone that has liked, commented or followed my posts on social media; friends and family and my partner Ollie for putting up with me talking about packaging and sprinkles at 12am - thank you. Thank you so much for believing in me and Oh Sew Quaint, for your love and your support, and your patience (I'm talking to my more recent customers waiting for their products after my clay drama - sorry!). The magnetic doughnut pincushions are my new best seller, and so handy for keeping your sewing space free from stray pins. The last 7 months have been brilliant, and I can only hope that the next year will be even better. My store reopens from it's hiatus on the 22nd May, and every fortnight a new product will be added to the shop, yay! I can't wait to show you what I've got planned, your sewing boxes are in for a treat! Enjoyed this post? You can follow me on Bloglovin' for updates on new posts. You can also find me on Facebook, Instagram, Youtube and Pinterest. Gratuluję pomysłu. Jestem z Polski i tak jak ty prowadzę bloga o szyciu. Szyję od 30 lat i to jest moja pasja. U nas brakuje taki super dodatków do szycia te ciasteczka są mega apetyczne. Mam pytanie czy mogę u mnie na blogu opisać twoja firmę i zachęcić dziewczyny do zakupów. 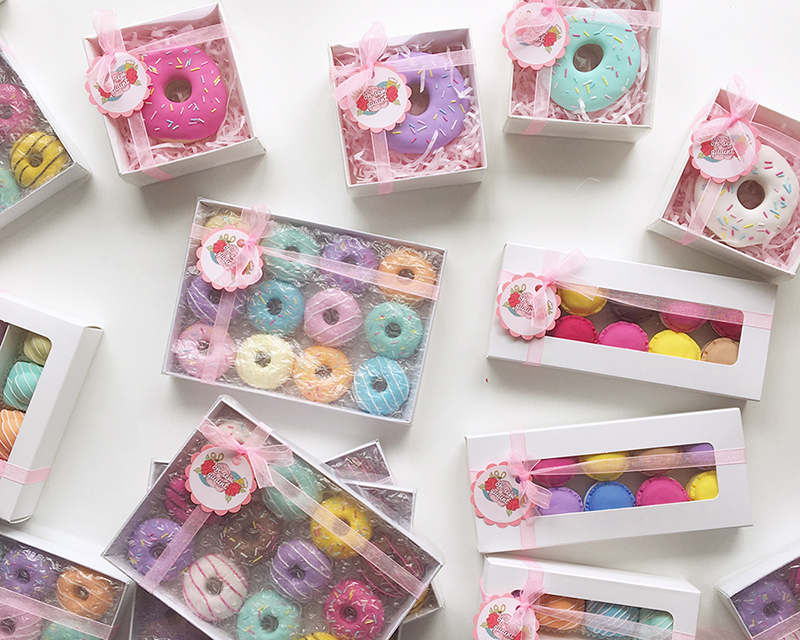 Hello :) do you still make the doughnut pin cushion?, I'd like to buy one.